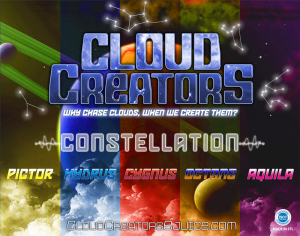 Today, I will be giving you my honest opinion of the Cloud Creators Constellation E-Liquid Line. 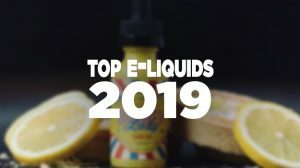 Each and every week it seems as though more E-Liquid companies are appearing out of the ether, and after a while it seems many are selling the same products with a different name. Maybe its just my taste buds, but to find something truly fresh and invigorating is getting harder for me as a vaper. Last week, I received an email from a promoter of a company based out of St Louis MO, asking if I had heard of the Cloud Creator Constellation line and if I had tried it. The answer to both questions was no, but after a little digging I found that, at present, they appear to be localized within a 50 mile radius of their production center, and unfortunately I am not. An hour later I was told I had a sample pack in the mail, which arrived earlier today. The first thing I noticed when I opened the packaging was that they had included a large photo quality card with the entire line description, business cards and cloud creators vinyl stickers in the box. The e-liquid bottles were individually wrapped in bubble wrap and then sealed inside a zip lock bag. The simple act of wrapping each bottle individually tells me that they care about their products reaching their customers in good condition. The fact that they were also sealed inside a bag tells me that they were also concerned with the fact that even if anything had happened during transit, the extras in the box would still be safe. The company’s tag line is simple: Why chase clouds, when we create them? Each of the 5 30 ml clear glass bottles that were in front of me were clearly labeled, each distinguishable by not only the name, but the color of label it was sitting on. They each had a standard child proof dripper style cap that functioned perfectly. 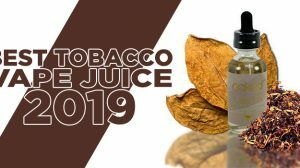 On one side they had a standard “keep out of reach of children and pets” warning and on the other side had an ingredients list of Vegetable Glycerin, Propylene Glycol, food flavoring and nicotine. 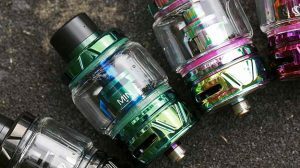 The bottles are marked 0, 1.5, 3, 6 ,12 and 18 mg but according to the website this can go up to 24 mg/ml of nicotine. Description: If you are a fan of pink lemonade, our Aquila e-liquid is sure to hit the spot! It has great flavor, and guaranteed clouds! Description: Cygnus is the perfect strawberry flavored juice. It’s just like biting into a ripe strawberry! Description: Hydrus is a wonderful blue raspberry slushy flavor with a sweet aftertaste. Description: Octans is a fresh blueberry waffle with just a touch of syrup. Description: Pictor is a creamy vanilla custard, full of flavor. I deliberately brought the descriptions from the site to point out that each of their flavors are worth so many more words than they have used to paint a picture in the consumers mind. As a customer, I may have overlooked these offerings. I may have thought, oh, another strawberry juice and moved on.. doing myself a disservice in the process. Each of these understated flavors pops in your mouth, there are no chemically tastes and there are no weird after tastes. The pink lemonade scared me when I first opened it, purely because it smelled so lemony. As soon as I put it into my coils and took a massive hit, I was in heaven. The same was true for each of the other offerings, this line is called the Constellation because each e-liquid is stellar. 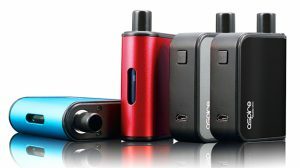 As a cloud chaser, I want my e-liquid to be as high in Vegetable Glycerin as possible. Under normal circumstances my minimum ratio is 70% VG, and that is exactly where this line sits. The cloud production by each of these flavors is phenomenal. 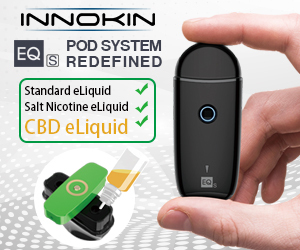 As vapers we are becoming more aware of the practices used to make our e-liquids and are becoming increasingly vigilante to ensure that safe policies and practices are followed. Cloud creator boasts that all of its juices are proudly manufactured in an ISO 7 class 10000 clean room located in St. Louis MO.